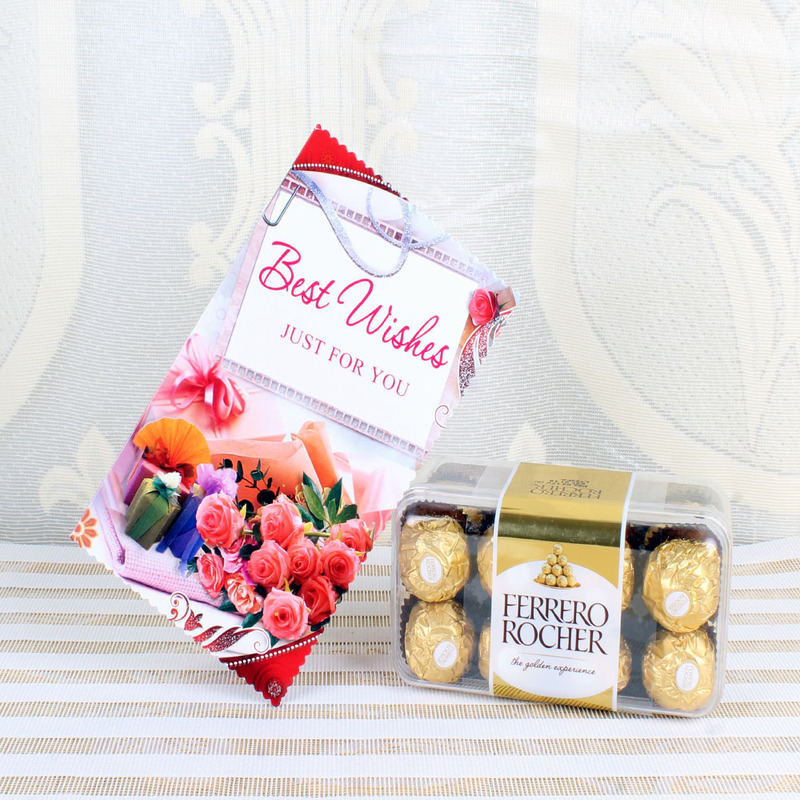 Product Consists : 16 Pcs Ferrero Rocher Chocolate Box (Weight : 200 Gms) along with Best Wishes Greeting Card. 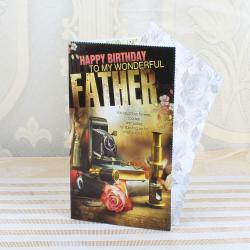 Wish your dear ones all the best with Best Wishes Cards. 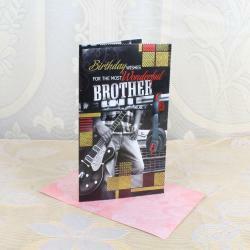 You can gift this Best Wishes Message Greeting Card for all type of ocassions. Convey your Best wishes to friends and relatives on her or his big day. Also we have clubbed this combo with Chocolates. Ferrero Rocher is an irresistibly unique Chocolate made from the finest Italian Ingredients. Its a delicious blend of rich, smooth chocolate, crispy wafers and fresh, crunchy hazelnuts all adorned in an elegant golden wrap that adds a touch of luxury, fine taste and hospitality to every occasion. For every Ferrero Rocher, there is a golden moment. 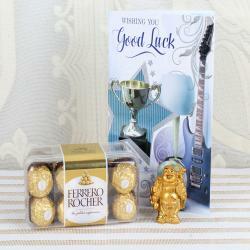 A pack of 16 Pieces Ferrero Rocher (200 Gms). Crisp hazelnut and milk chocolate covered wafer biscuit with a smooth filling and a whole hazelnut. Gives you the reason to celebrate and the luscious bites on it expands your celebrations more with happiness good luck wishes. 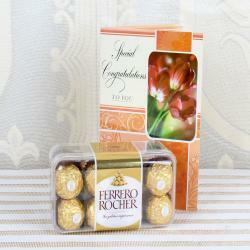 Product Includes : 16 Pcs Ferrero Rocher Chocolate Box (Weight : 200 Gms) along with Best Wishes Greeting Card.